THE RETIREMENT DEAL for the outgoing county manager of Sligo County Council will cost €270,000 in a lump sum, and €68,000 a year in pension payments. The figures were revealed in a recent parliamentary question by Environment Minister Phil Hogan. Hogan was asked to make a statement on the matter by Independent TD Clare Daly, who called the payment “outrageous”. Hogan said that the package was cleared under the Local Government (Superannuation) (Consolodation) Scheme, which entitled workers employed in the public sector prior to July 2012 to superannuation benefits. “The particular benefits for an individual county manager are, in the first instance, a matter for his/her employer,” said Hogan’s response. 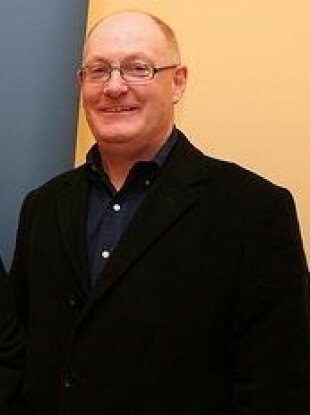 Hubert Kearns has been county manager of Sligo since 1996 and is due to retire in November. His pay of €132,511 is set by the Department of the Environment, but pensions and other benefits are set by the local authority. Sligo County Council, according to its 2011 annual report, has debts of over €70 million. The council had been criticised in an auditors report in 2011 that expressed concern over the financial standing of the council and its “rising level of debt”. Concern was also raised at the low level of revenue collections in the county. Local Independent councillor Declan Bree said that there was “no justification” for such a large payment. “It’s unacceptable in this day and age that such severance payments would be made. We (councillors) have no say in these contracts, that is purely an executive function,” he said. Bree said that people in the county are “outraged” at the payment. I’m sure if you picked up the phone and called randomly to any house in Sligo, you’d find that, particularly given the shambles the council’s finances are in. In its full statement, the Council said: “It is very disappointing to see these matters aired in the public forum. Email “Outgoing Sligo county manager will receive €270,000 severance package”. Feedback on “Outgoing Sligo county manager will receive €270,000 severance package”.